4GB RAM 32GB Flash. The Spin 1 adapts to your needs, giving you four modes to choose from. Thin, light and undeniably convenient, the Spin 1 was made to give you the freedom and power to explore. Quickly turn thoughts into action with the magic of Windows Ink. 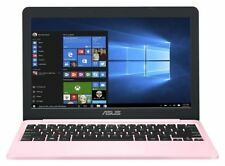 ASUS S200e touchsceen 11.6 inch 1.5ghz 4gb ram 500gb HD laptop (hardly used). Condition is excellent with unmarked screen and keyboard.There are just two very small marks on lid that are hardly noticeable that are shown on photo.The Windows 10 system is ready for new owner and installed is Microsoft Office. It's a decent little workhorse with good connections (including hdmi) and still works well. Ending Sunday at 8:13AM BST1d 18hCollection station availableType: Notebook/LaptopBrand: AcerProcessor: Intel Core i3 3rd Gen.
Acer Aspire 1 11 Inch Celeron 1.1GHz 2GB 32GB eMMC Cloudbook Laptop - Black. Acer Aspire 1 11 Inch Celeron 1.1GHz 2GB 32GB eMMC Cloudbook Laptop - Black.. Like new. Only used once. But don't worry, you'll find great savings on software with the bundles available on the ‘Top Deals' tab on this page. Screen size11.6". Software Full version of Microsoft Office not included. Full version of anti-virus / internet security not included. 32GB eMMC storage. Type: Notebook. Microsoft Windows 10. Headphone Jack: Yes. 1.6GHz processor speed. Colour: Blue. Processor Speed: 1.6Ghz. Condition: This item is used but in pristine condition. Acer R3-131T 11.6". 1x Acer R3-131T. As part of the sale you"ll receive CCTV & DVR. 2GB RAM 32GB eMMC. Windows 10 OS. Connect external drives and peripheral devices with a range of USB and HDMI ports USB-Type C and USB 3.0 allow for fast data transfers and high-quality video. You've got access to 1 TB of Asus web storage for a year, so you can keep important files safely in the Cloud. 64GB SSD storage. A PC when you need it, a tablet when you want it, and more. Easily change between four modes — Laptop, Stand, Tent, and Tablet. The secret: The 11" Lenovo Yoga 300's unique design and touchscreen display. Acer Aspire ES1-131 Laptop, Intel Celeron N3050, 2GB RAM, 32GB eMMC, 11.6inch. 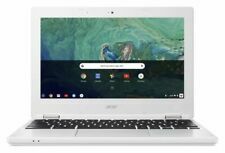 Acer E3-112 13.3". 1x Acer ES1-112. As part of the sale you"ll receive. 1 x COMBO audio jack. Bought as a stopgap while main PC was being repaired. Used for a week for no more than a total of 10 hours. Output : 20 V DC, 2.25 A, 45 W. Up to 10 Hours web browsing. Input : 100 -240 V AC, 50/60 Hz universal. 120GB SSD HARD DRIVE. LENOVO THINKPAD EDGE 11. Laptop, Desktop repair services. Resale of donated goods. Will the laptop I receive have a UK Keyboard?. If my laptop turns faulty and is still under warranty, can I get it repaired myself?. Asus VivoBook S200E 11 Inch Laptop - Pentium 987, 120GB SSD, 4GB Memory, Win 10. Condition is Used. Collection in person only. 32GB eMMC Storage. GEOBOOK 1M. UNIT IS BOXED AND PRELOADED WITH WINDOWS 10. BOX AND CONTENTS HAVE BEEN OPENED. NOT a touch screen machine. Running WIN 10. 2 GB RAM, 32 GB eMMC. A stunningly slim body and impressive tactile finish accentuate real-world design features. Built to keep you active, engaged and on the move, the Aspire 1 has the technology to suit your way of life. Condition is Used. right side cracked a bit, but hasnt affected the way the laptop works. HP Stream 11 Netbook. Intel Celeron N3060, 2GB RAM, 32GB eMMC. 11.6 Inch HD. 1.6 GHz Dual Core. 32GB eMMC Storage. 2GB DDR3 RAM. HP Stream 11-Y000NA In Excellent Condition. (1366 x 768). HD Webcam & Micro SD Card Reader. It's the best laptop for people on the go. 2 GB RAM, 32 GB eMMC. The VivoBook E12 is available in three gorgeous graduated finishes: Star Grey, Petal Pink and Pearl White. Unique hexagonal motifs on the front cover add a distinctive touch of individuality. The Lenovo IdeaPad 120S is a modern, stylish take on the laptop computer. The last thing you want to worry about is running out of battery. Featuring curved keys and an ergonomic layout, the keyboard on the IdeaPad 120S is designed with your comfort in mind. (No Manual or Stylus). Excellent condition. (See pictures). Perfect for socialising and casual work. Inspirion 11. Windows 2 in 1 Laptop and Tablet. Lenovo Ideapad 100S 11.6-Inch Laptop 2 GB RAM. Condition is Used. Some superficial marks here and there but no damage to the screen, keys or track pad. Dispatched with myhermes with signature and compensation. Keep that creative edge with the authentic writing and sketching experience of the Acer Active Stylus3. Lightweight and easy to carry, at 1.25kg. 16GB EMMC STORAGE. THIS LAPTOP IS IN GOOD CONDITION. AMD A4-1250. 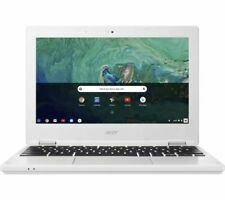 Acer v5-122p 11.6". 1x Acer v5-122p. As part of the sale you"ll receive. Amazing, isn’t it?. Keyboard: Full-size island-style keyboard HP Imagepad with multi-touch gesture support. Storage: 16 GB eMMC, 100 GB Google Drive (2-year subscription included). Lenovo 100s 11.6". 1x Lenovo 100s. As part of the sale you"ll receive.